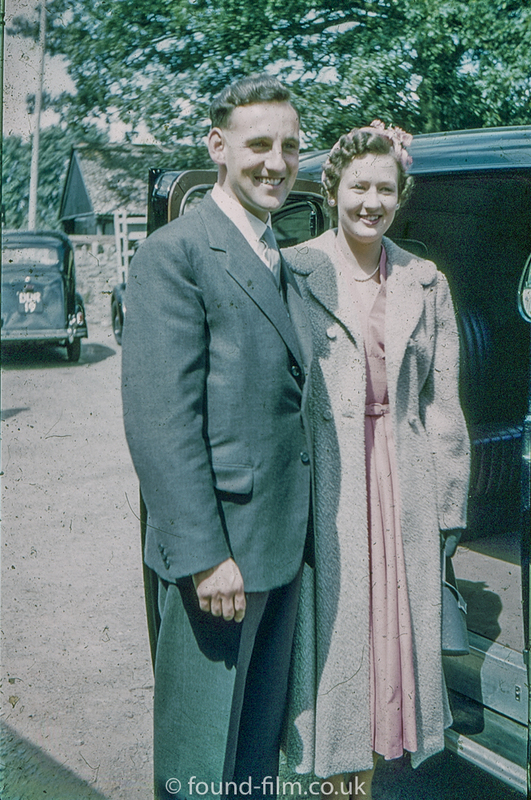 An old portrait of a couple standing by the open door of a car which I believe is probably a picture of a couple being driven off on honeymoon after their wedding. I would date the picture in the 1950s based on the look of the car. Although I can’t see the actual model, the door is opening from the back rather than the current trend of opening from the centre column. This, coupled with the clothes the couple are wearing, and the car behind the couple, suggests the mid-1950s.